Immigration/Declarations Info: During your plane ride, complete one arrival card for each person in your family, so you're prepared for the process and can save time in the Immigration Hall. Avoid Accidental Smuggling: Hong Kong Customs is the real deal. I've crossed lots of borders, traveling by foot, plane, taxi, bus, or three-wheeled bicycle taxi, but none of them have ever made me as nervous as the Hong Kong border's customs rules. I read a lot of horror stories about tourists being unaware of the everyday things that they are legally required to declare (such as their last few doses of antibiotics, being taken for personal use), then having a huge issue develop, with allegations from angry officials causing lots of stress and delay. Pretty easy way to ruin your day, if not your whole trip! Penalties are serious, and ignorance is not an accepted excuse. As with many places, the red channel at customs is for items to declare, and the green channel is used for people with nothing to declare. But the list of items that must be declared in Hong Kong customs is very different than for any other country I’ve ever seen. Either plan to discard certain items before arrival, or check your bags very carefully for the fairly common items requiring declaration. You must declare any ozone-depleting sprays (hair spray, etc.). It is also required that travelers declare any medicine they are carrying (including antibiotics, pharmaceuticals, and any Chinese herbal remedies). Moms: baby formula must be declared, as well as any good containing milk. Now here’s the part that really surprised me: You must declare any junk food. Specifically, there is a requirement to declare any food containing artificial coloring, or artificial sweeteners, or artificial preservatives, or antioxidants, or frozen confections, or food containing “metals” as an ingredient. That’s broad enough to capture just about any American junk food or processed food you can imagine. Aluminum ingredients are surprisingly common in processed foods sold in the U.S. - especially in anything baked (like store-bought donuts, snack cakes, cookies, etc. ), pre-shredded cheese, and soy-based baby formula. 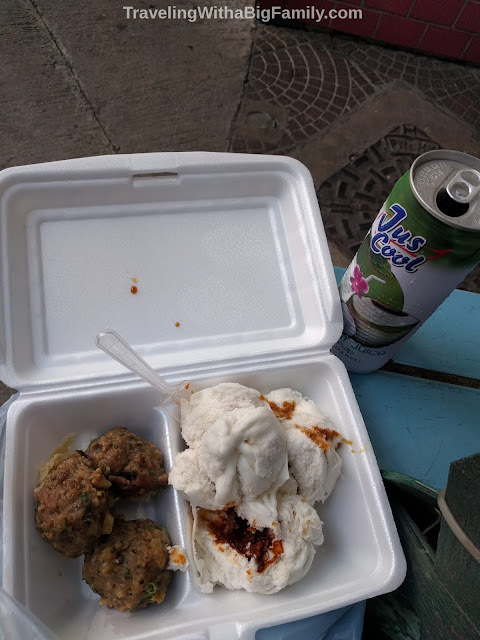 In Hong Kong, this kind of junk food - foods full of fake color, fake sugar, and/or weird preservatives - gets recognized for the toxic poison that it very likely is, and they don’t want that kind of stuff there. So check ingredients carefully, even if it’s just a few snacks you brought from home. These items will need to be eaten or discarded prior to arrival, or declared. Octopus Card: On arrival at the airport, pick up an Octopus Card from the desk at Arrivals and you can use this for all public transport in Hong Kong (including the MTR subway/metro system, as well as buses, trams, and ferries). To pay for a bus or metro ride, all you have to do is swipe it - it even works from within your bag. It costs HK150 (US$19) initially, including an HK43 (US$5.50) deposit which you get back when you return the card. This initial load is just enough to get you into town from the airport. Top up with extra credit at the metro station machines, or in 7-Eleven stores. Fares around town are cheap (ours were usually HK3 to 6 (US$0.38 to $0.77 per person) and you can even use the card to pay for things in some shops. Hong Kong International Airport is located on a man-made attachment ("reclaimed" land, that is, an artificially sculpted/created island) to Lantau Island. It's a solid 35- to 50-minute ride from the city itself. Best Option: We highly recommend using the Airport Bus. To Kennedy Town we used #A10, a 45 min ride, HKD 48 ($6.13) per person. Bus stops are announced on a sign in English. For a big family, the airport bus is not only the least expensive, but also the easiest option to figure out. Just be ready for your stop (standing by the door, ready to get off) at least one stop ahead of time, so you don't end up missing your stop like we did (as described in this post). Alternative: A big family could also take the Airport Express train to HK station, which would cost approximately double the price of the bus. You don't need to buy a ticket to board the train from the airport. You can just get on the train directly; upon your arrival at a station in Hong Kong, you will need to purchase a ticket in order to get out of it. 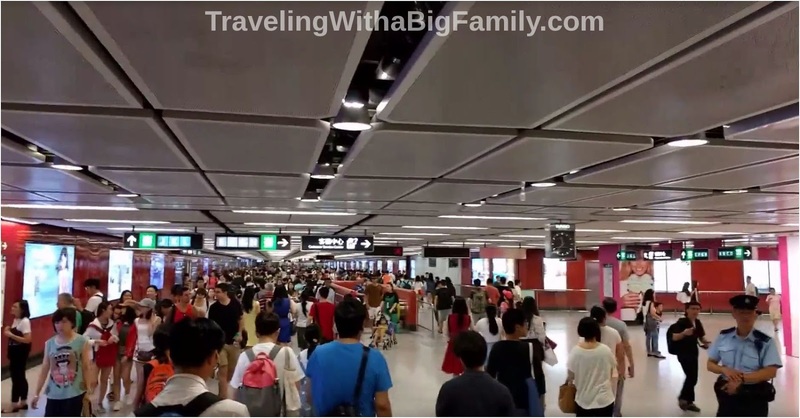 But, once you arrive at a train station in Hong Kong, you’ll be faced with the same problem you had at the airport: you aren't at your destination yet, so, how will you get there? Taxis take 5 persons per car at most. So if a bus happens to be going closer to your rental than the train, then the bus may be the perfect option. It was for us. Taxis: These are HKD 360 and up (over US $46) just to reach Kowloon from the airport, and will only take 5 people per car max. Not a great option for families of 6 or more people. For Your First Glimpse of the City: We also recommend taking wheeled transport from the airport, not rails, in order to get a city view during your trip. Train rails go through a tunnel under Victoria Harbour. If taking the bus or other wheeled transpo, watch for the Duk Ling (the last traditional boat, built in 1955) in the Harbour. Subway/Metro System: Public transport (the MTR subway) is clean, air conditioned, and fun to use. For some areas the buses will be your best option, but the metro is great for going long distances very quickly. The MTR stations can also feature the easiest-to-locate public restrooms in any given neighborhood, though it may take credit from your card to get inside a station, so, take advantage of the facilities when you're already entering or exiting the station for a ride. Finding restrooms every few minutes is a skill needed for traveling with young children, as described in this post. Star Ferry: Cross the harbour for just HK2.50 (US $0.32) each. It goes from Central to Kowloon, or Wan Chai to Kowloon, in 10 minutes, faster than the MTR if you’re close to a ferry terminal anyway. No need to check the schedule unless it is early morning or late at night, as they run often. This was fun enough that you could also consider it as an activity in itself! Just watch your step, particularly when the ferry is departing or docking. I'd recommend kids might want to stay seated till it comes to a complete stop, unless you're a seasoned sailor and know how to properly lurch along with the movements of the water. There are many hotels, and lots of rental apartments from which you can choose. Of course, no matter where you're staying with a big family, having a reservation will be essential. Some hotels serve breakfast buffets, and that was pretty tempting, because of the convenience and cost-savings involved in having a breakfast chosen and prepared for us each day. 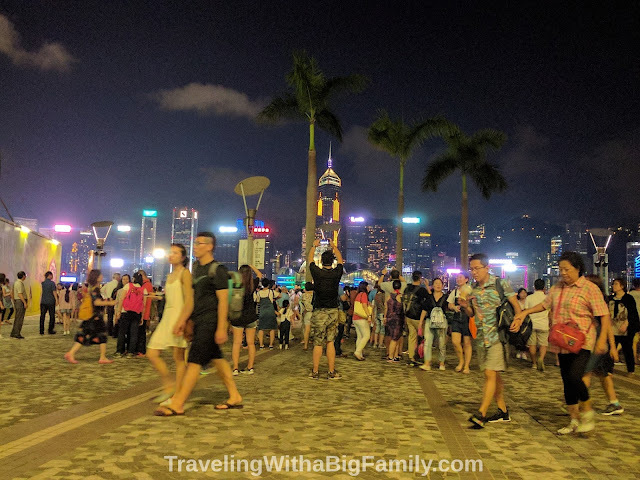 However, the trade-offs weren't worth it: we found that Hong Kong hotels were either far outside our price range, or, they were overrun with hordes of foreign tourists. For our style of travel, I'd rather be on the street looking for a breakfast that locals would eat, than crammed into a hotel restaurant with 350 foreigners all vying for that last piece of toast. Our choice was a 6-person apartment rental in Kennedy Town located just downhill from the University of Hong Kong. Our rental had a queen-sized bed on a bedframe, a double mattress situated directly on the living room floor, and a big chair that folded out into a twin-sized couch bed, all in one large room with a floor-to-ceiling curtain for privacy in the big bed. The draws were the price, and the owner's repeated emphasis on how clean she keeps the place. Cleanliness is a big factor here - it's a city of 8 million people, with many of them living above restaurants and markets. Search your chosen lodging's reviews for words like "dirty" and "bugs." Read all the reviews, not just the positive ones. I eliminated over two dozen possible rentals from our search after finding complaints about dirty, unchanged beds and problems with bugs. Size will be a crucial issue in Hong Kong. Living spaces are tiny by American standards. We got what is considered a very large apartment, after considerable searching. It was just large enough for the 6 of us, without feeling too cramped - but only as long as we didn't stay indoors too much. Most apartments in our price range are much, much smaller. We stayed farther away from the center in order to find a slightly larger space that was still affordable. Bathroom design - Look closely at, or ask for, pictures of the bathroom. Even in our unusually large apartment, we found that the shower head was situated directly above the toilet. It was possible for me to touch both walls of the shower stall/toilet closet simultaneously with my elbows bent just slightly outwards from my sides. I estimate that bathroom was 4 feet (1.2 meters) deep by 30 inches (76 cm) wide. Also, the "kitchen" area was located just a few feet away, in the part of the bathroom containing the sink. We ate out. Location is always sort of important, but with Hong Kong's excellent metro system, you're never too far from anywhere else. So while most travel sites will say location is the single most important factor to consider in where to stay, I find it to be one of the least important ones for Hong Kong - nowhere near as important as size and cleanliness. For more on location, check out this post. Hong Kong is a major international destination and has every kind of food imaginable, with prices sometimes being sky-high. 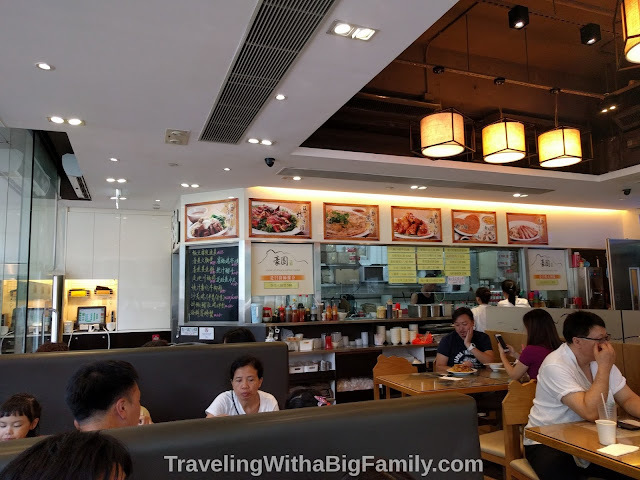 Many of the "best" and "most popular" restaurants are catering nearly exclusively to foreigners, and have prices reflecting that business plan. What we wanted was to taste what the locals eat. 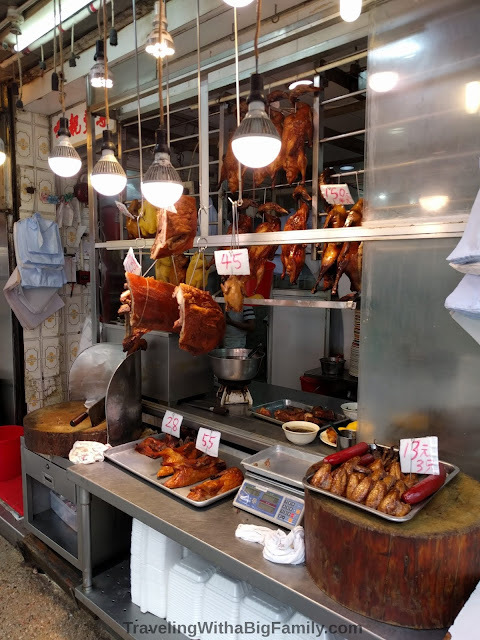 Smaller restaurants offering roasted meats and soups, dim sum joints, and fresh food markets are great places to look for the sorts of foods locals live on. For snacks and beverages, 7-Eleven stores, and some of their competitors, are open 24 hours a day. Our method of finding a place to eat was sometimes just walking through our neighborhood looking for places that were full of locals. The best food I had in all of Hong Kong was a breakfast of BBQ pork steamed buns from a dim sum restaurant in Kennedy Town, called Treasure Lake Seafood Restaurant. Traffic noises woke me early on a Sunday morning. While the wife and kids were recuperating from a busy day and a late night, I walked out on foot and explored the local neighborhood. Dim sum turned out to be a name for several types of food prepared in small portions. The restaurant had about a half-dozen food choices for to-go orders. I got a box and ate it in the park. After I finished mine I got several more types of dim sum to go, and carried back a hot breakfast in bed for the family. Free Kung Fu Show: Weather permitting, Sundays at 230pm (go early to get a seat), there is a 2-hour show at Kung Fu Corner inside Kowloon park. 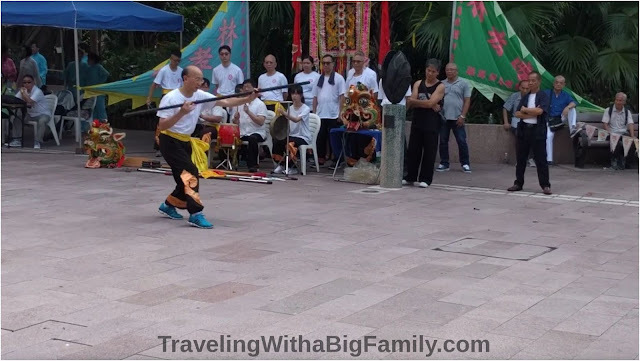 There is a Lion Dance and Dragon Parade, followed by free demo of Kung Fu moves featuring fan dancing, tai chi, and bo staff demos. Specific location: Sculpture Walk, Kowloon Park, 22 Austin Road, Tsim Sha Tsui, Kowloon. Take MTR Tsim Sha Tsui Station Exit A1. 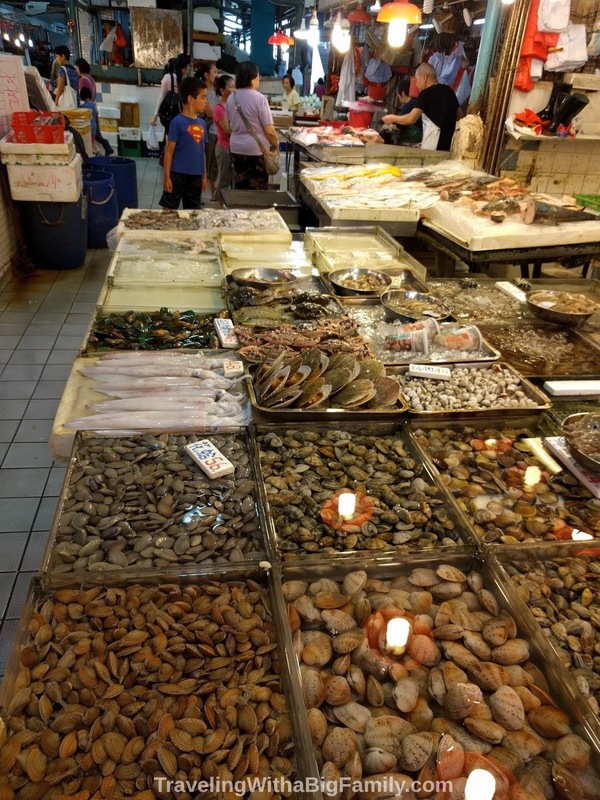 Goldfish Market: On Tung Choi Street North, aka Goldfish Street, in Mong Kok, Kowloon, you can find all manner of aquarium fish for sale - including some that are incredibly expensive, and many that are truly bizarre. 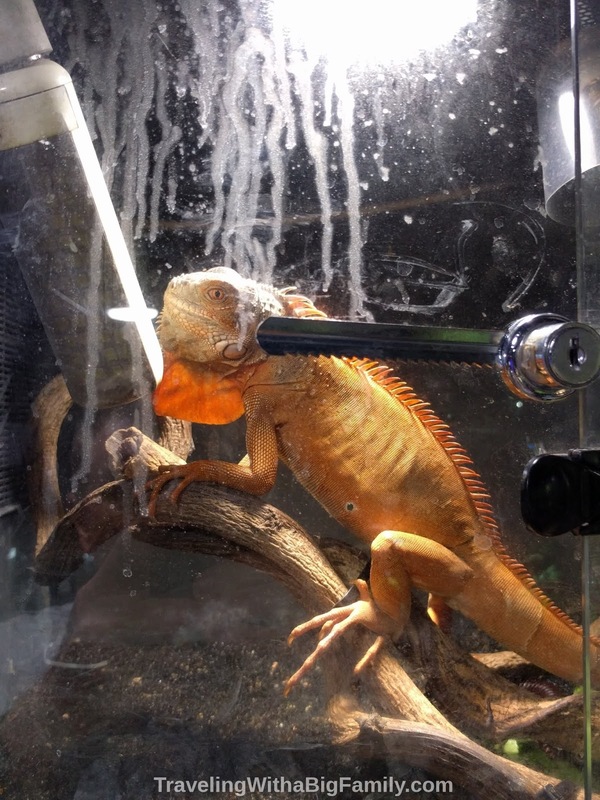 If you keep your eyes peeled, you may also see a few unusual reptiles for sale. Aquarium goldfish are desired locally for good luck, so these shops are popular here. For tourists, it's an interesting scene, and one not to be missed. The kids loved it. 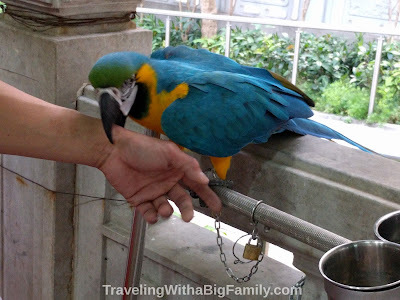 We paired this with a quick, self-directed walking tour through the Bird Market and Flower Market. Symphony of Lights: At 8pm nightly, hear live music near Avenue of the Stars in Tsim Sha Tsui and Wan Chai at HK Cultural Centre. The ICC Building also has its own show nightly starting at 745pm, and viewable from the harbour area. Hong Kong Disneyland: Before the kids get too old to still love it, consider making Hong Kong Disney a part of your journey. Buying tickets at the entrance costs the same as at 7-Eleven. However, we found discount tickets online at a website called Klook. Bring lots of your own water, cookies, and snacks because a meal for one person can hit US$40 easily (and that’s a small meal of a 2 piece chicken with corn & a bottle of water). Klook sells a decent size meal ticket online for US$10 each. Also the main ticket booth area sells US$27 lunch/dinner/snack pass but that still adds up quickly (it would have been US$162 for our party of 6). And a brown bag lunch is not an option, as all bags are thoroughly searched (for contraband "outside food" etc.) at the gate. Pack a backpack full of water for Disneyland - seriously. It will be hot. Be seated 30 minutes prior to any show. And don't miss the shows, because they are awesome. Park gate opens at least an hour before opening time (be there first if you have any thought of signing up the kiddos for the Jedi Training Academy). 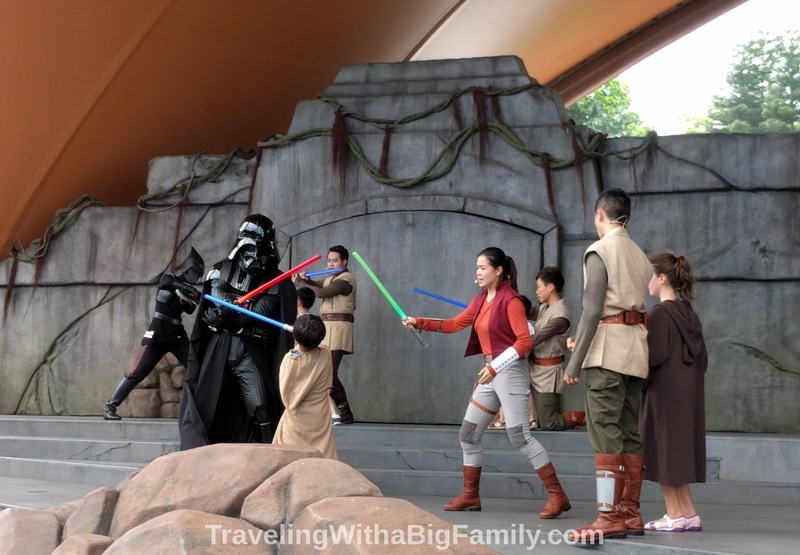 For more on Hong Kong Disneyland, see our complete tips article in this post. 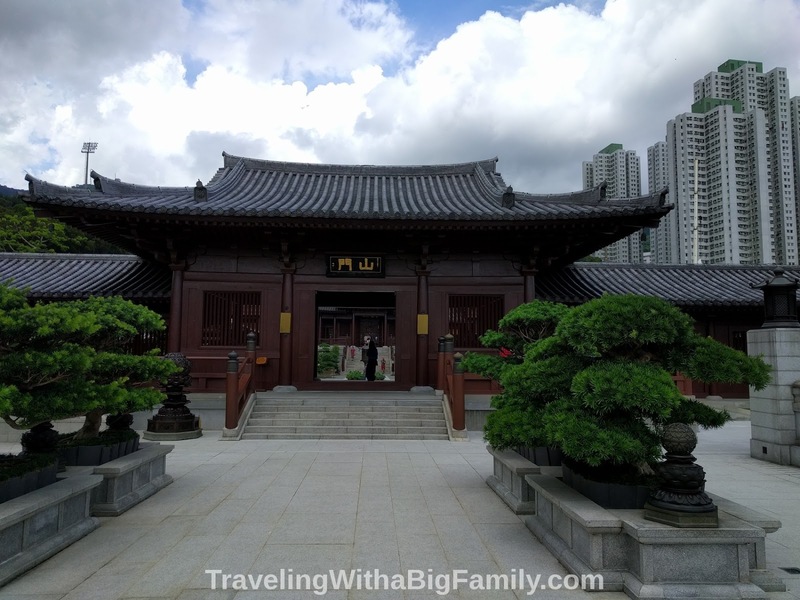 Nunnery & Gardens: In Kowloon’s Diamond Hill area, we spent about 20 minutes seeing the Chi Lin Nunnery - a Buddhist temple complex with a beautiful interior, terrace-like garden, ponds and statues. Admission is free. To get there, take the MTR to Diamond Hill. 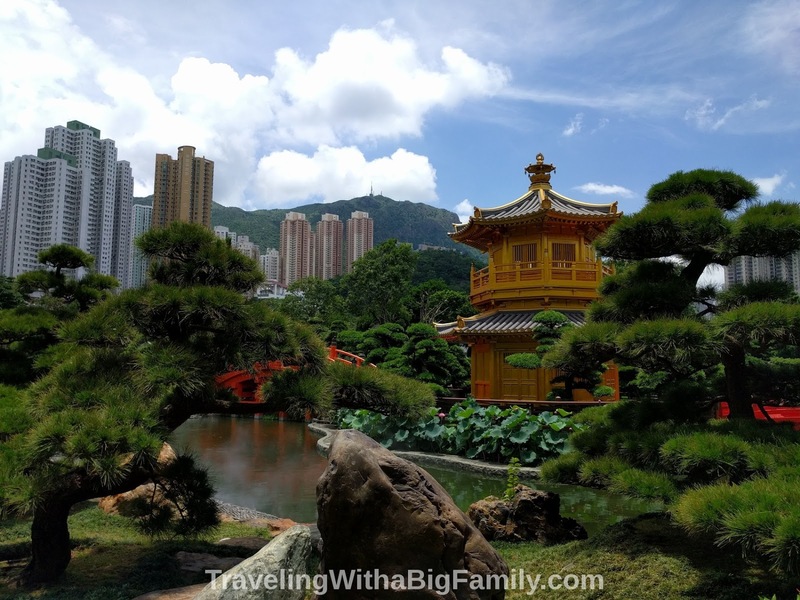 While there we also recommend taking a short walk across the road to the Nan Lian Gardens (featuring a large fish pond, waterfall, interesting landscape, and lots of visual stimulation). Notice that no eating is permitted in the gardens, and this is strictly enforced by security guards. You may take a sip of your water, but no other beverages are allowed. You will be watched. And corrected. 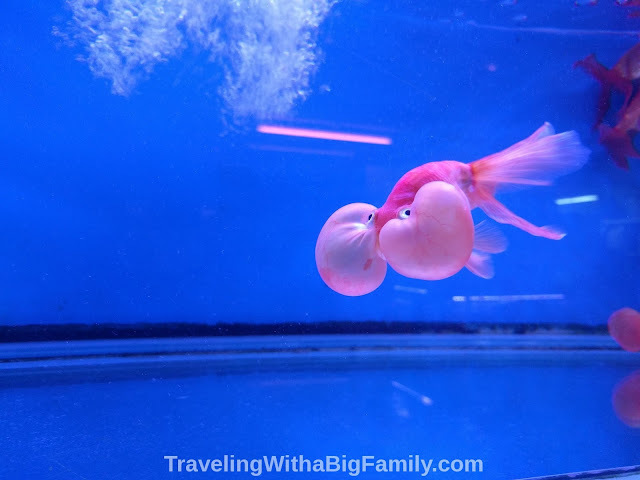 We did tons of research before our trip, and I’ll share some of that with you here. But ultimately, we decided against these activities on our brief, 3-night visit. 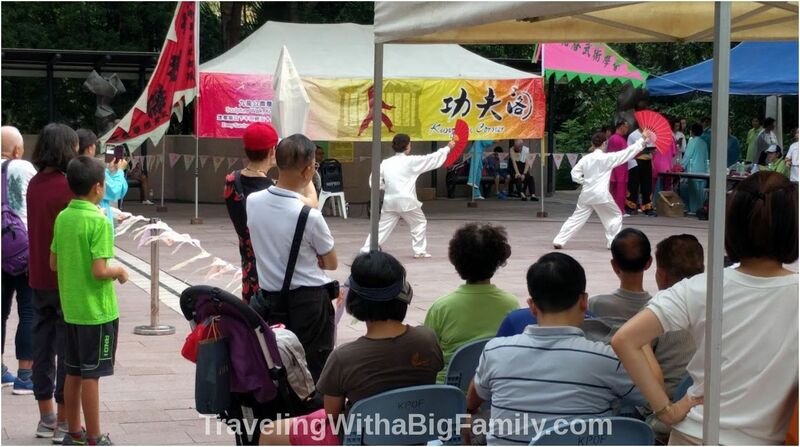 Many of these would still make fantastic family activities if you have more than 3 nights in Hong Kong. If I was planning this over again, I'd devote at least 5 nights to seeing Hong Kong with a big family. The Peak: A tram to the Peak is about US$5 per person roundtrip. This place gets all the “If you only do one thing in Hong Kong” type of reviews, which of course, makes me skeptical since I like to head away from the hordes of tourists most of the time. The Peak might be a good late afternoon activity, as you could see the daytime view on your way up, and the nighttime view on the way back. Lines to return by tram get long (an hour or more), so you could try taking the tram upwards then using alternative transportation to get back down. Walking is possible but you’ll need a GPS or map. Once up there, you can take a 40-min Peak Circle Walk for views and playgrounds, restaurants. The Big Buddha: This activity will take something like 5 hours. If you go, use the MTR (Subway) to Tung Chung Station, exit B. Then walk a block to the Ngong Ping 360 cable car for a 25 minute ride up to Ngong Ping Village (which has snacks, food, and clean restrooms). Po Lin Monastery nearby sells vegetarian snacks. From the village it’s a 10 minute walk to the Buddha. There are a massive number of stairs involved. A lunch runs US$18, so a bag lunch might be easier on the wallet. Then walk 15 minutes to the Wisdom Path, which has 38 steles in the infinity loop, engraved with the Heart Sutra prayer. Optional: for lunch you could take a taxi (or two) to Tai O Fishing Village, which has stilt houses over the water and street stalls selling food. Ocean Park: If you still haven't had enough of amusement parks, this place gets great reviews and is a frequent (alternative) recommendation heard whenever Disney is mentioned. The Escalators: Ride the free Central escalators up to Mid-Level, which allow for easy sightseeing while standing instead of walking. It goes downhill in the mornings, then switches to uphill in afternoons. You can ride it up, then walk down, but there are lots and lots of stairs. Big families may need to go slowly for the kids, and/or, don’t go all the way to the top unless you’re planning on taking a couple of taxis to get back down. Hong Kong Park: Walk from Central to Admiralty and stop by Hong Kong Park to see turtles and koi. It’s full of tourists and locals, and HK Zoo is across the street and is free. Eat nearby at Pacific Place mall with air-conditioning. Ding Ding: The double-decker cable cars at night work HK Island from Central to Causeway Bay. These are best enjoyed at night, to see the city lights. In Shatin, you can visit the 10,000 Buddha monastery to see countless numbers of statues. At sunset, take the HK Observation Wheel; rides last 20 minutes. For a swim, go to Central and take one of two ferries to Lamma Island, then from there make your way to the beach. Check out photos beforehand - some beaches are rocky, some are sandy, and they vary greatly in cleanliness (due to the ocean washing up plastic onshore, on parts of the island). Allow 3 to 4 hours roundtrip, plus the swimming time & lunch. Getting around on this island may involve a lot of walking. If you took the bus to your neighborhood, you can take the same bus back to the airport – just be sure to get the one heading towards, rather than away from, the airport, of course. If heading to the airport by rail, the “Airport Express” check-in service, allowing you to check in for your flight before you get to the airport, is offered at Kowloon Station and HK Station.